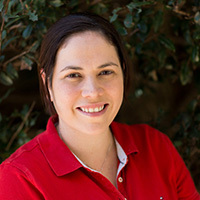 Fiona graduated with a Masters in Physiotherapy from the University of Sydney and a Bachelor of Health and Sports Science (Hons) from the University of New South Wales. She is a registered physiotherapist with the Australian Health Practitioner Regulation Agency (AHPRA) and a member of the NSW Paediatric Physiotherapy Committee for the Australian Physiotherapy Association. Fiona has been working as a physiotherapist for children for over 10 years and held positions in a large public teaching hospital and community health in both Sydney and London. She has experience in working in neonatal follow up clinics and child development assessment clinics and enjoys collaborating with other health professional to find the best plan for children and their families. Fiona is currently acting team leader of Paediatric and Women’s Health at Liverpool Hospital. Fiona has particular interest in ex premature babies and babies who have had complications with their birth, working with families as they grow and develop. She is passionate about partnering with children and their families, using play as a form of therapy to help them reach their full potential.